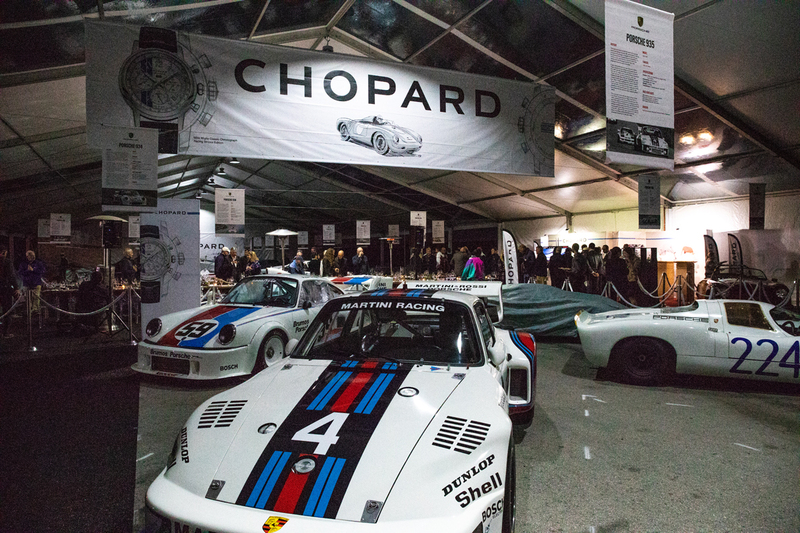 To celebrate the 70th Anniversary of the first Porsche sports car, Chopard returned this year to host the Heritage Display at Rennsport Reunion VI, the world’s largest Porsche festival. 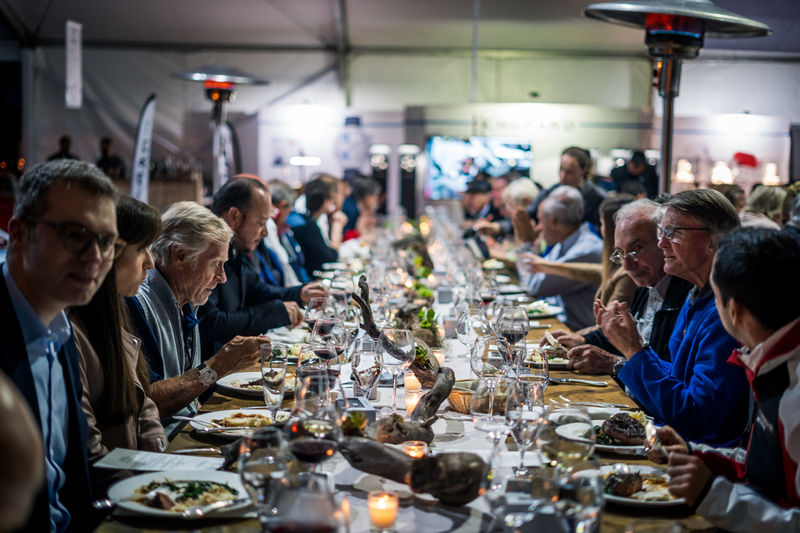 This reunion of historic race cars, champion drivers and engineers, and Porsche owners and enthusiasts packed the WeatherTech Raceway Laguna Seca near Monterey, California, and saw a record turnout of over 81,000 Porsche enthusiasts, beating the Rennsport Reunion V record of more than 60,000 in 2015. 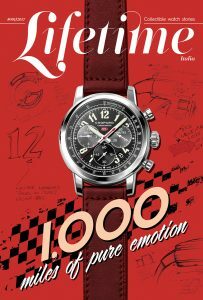 A keen devotee and collector of racing cars in general and Porsche in particular, Chopard Co-President Karl-Friedrich Scheufele drives the Mille Miglia race every year at the wheel of a Porsche 550A Spyder RS. 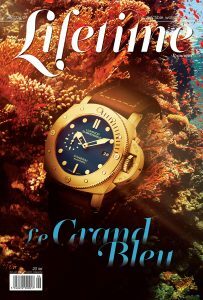 It was therefore quite natural for Chopard to associate the Maison with this extraordinary gathering of iconic vehicles, attended by those who have designed, engineered, and driven them to victory in the world’s most famous sports car races. 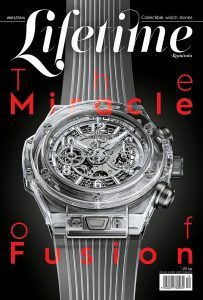 On display at the four day event, which first began in 2001, were 2,000 dazzling models from the illustrious seven decades of Porsche – from the blistering-fast 919 Hybrid Evo to bright-red Porsche Tractors from the brand’s early days. 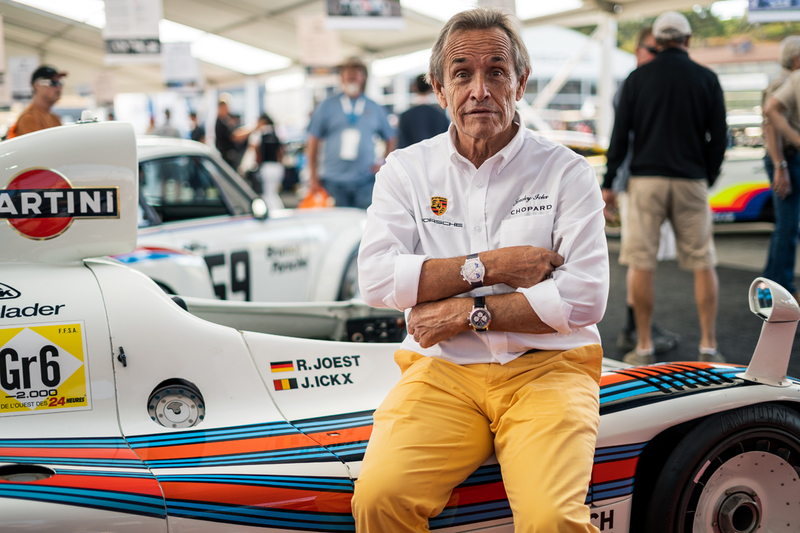 Approximately 50 legendary drivers, 500 historic and customer cars, including 350 cars in competition, and the full Porsche Factory Team were in attendance, giving all Porsche enthusiasts a thrill for their senses. 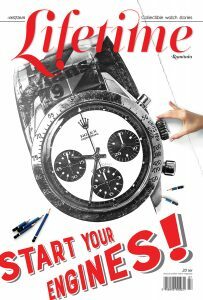 The festival included a series of high speed races on the Leguna Seca track, autograph sessions, on-stage interviews, concerts and meet-and-greets with legends, including Hurley Haywood, Derek Bell, Jacky Ickx and Factory drivers, including 919 Hybrid Evo driver Timo Bernhard. 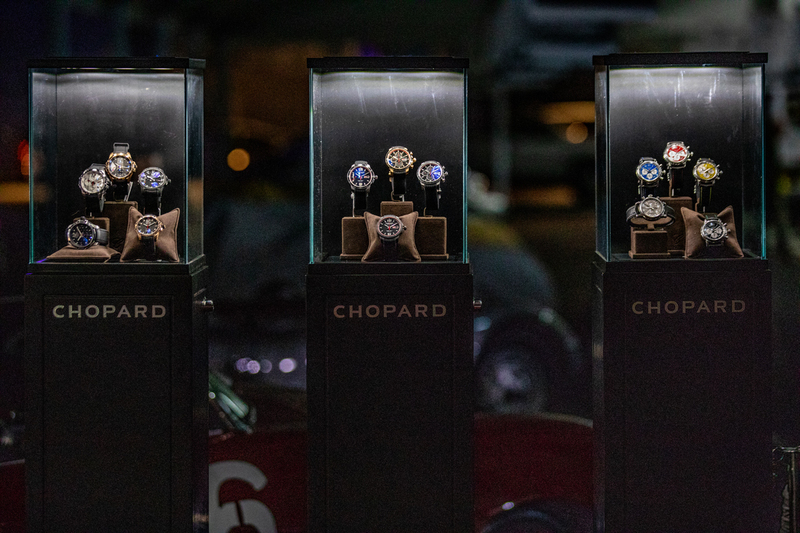 The Chopard Heritage Display, a tented exhibition, prominently positioned in the paddock, showcased an exclusive series of seventy important Porsche models that highlighted historical milestones, racing successes and the very best of Porsche design. 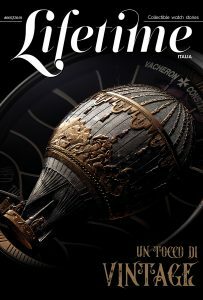 Visitors got the opportunity to interact with these models which told the story of Porsche’s renowned past and dominance in motorsports. 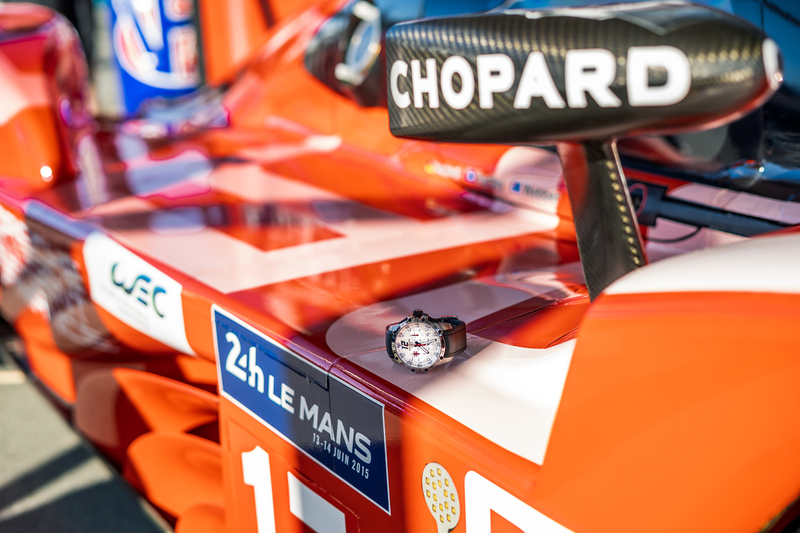 Intermingled with these extraordinary vehicles, guests were treated to a custom display of Chopard timepieces, including watches from the Classic Racing Collection. 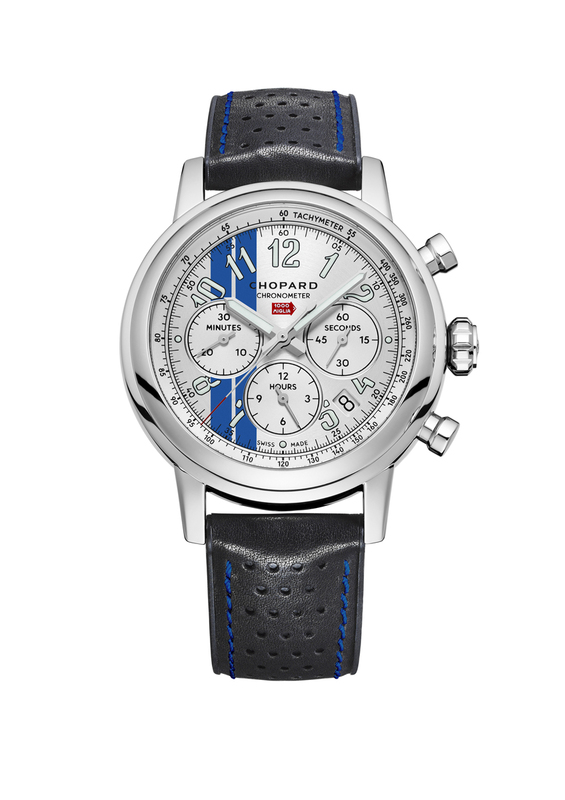 In honor of the seventy years of Porsche, Chopard unveiled the Mille Miglia Classic Chronograph Racing Stripes Edition, a 50-piece limited edition watch. 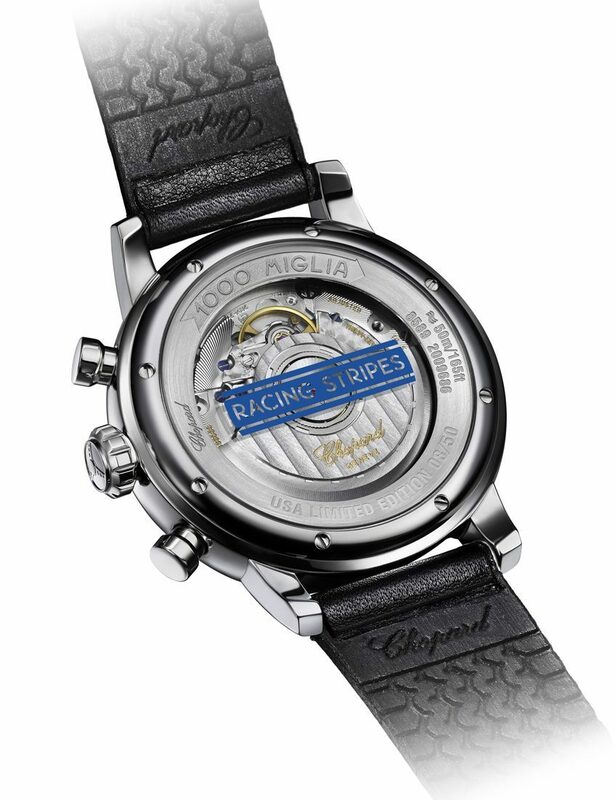 As a tribute to the spirit of American racing, the dial and case back features racing stripes which echo those that decorated Cunningham team race cars in 1951.To celebrate the launch of the new edition to the Maison’s iconic Mille Miglia Collection, Chopard Co-President Karl-Friedrich Scheufele and racecar legend Jacky Ickx hosted an exclusive dinner on Thursday, September 27th, inside the Chopard Heritage Display. 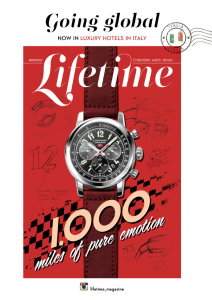 Guests included Porsche LMP1 Vice President Fritz Enzinger, Porsche LMP1 team principal, Andreas Seidl, Porsche racing champions and legends including Derek Bell, Timo Bernhard, André Lotterer, Earl Bamber, Neel Jani and other esteemed guests.